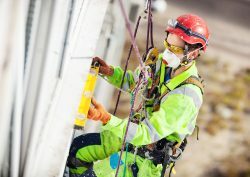 Heightsafe Systems are able to combine all your Work at Height requirements together, from installation of fall arrest equipment to roof maintenance work. We are proud to have operatives who are fully trained in both areas and can offer you a range of additional services, making us different from our competitors. 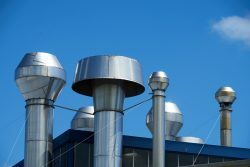 All roof and gutter maintenance can be carried out at the same time as installations and testing, saving you money, time and the inconvenience of different contractors. 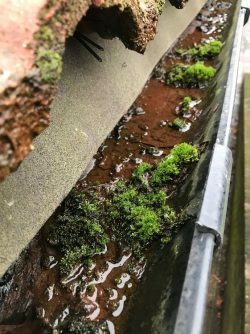 If blocked gutters are left too long it can cause serious water damage to your property and lead to mould growth and damp, resulting in very expensive repair work. 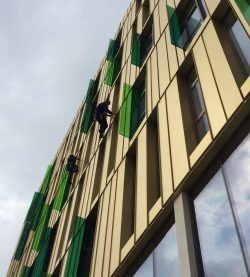 Therefore, Heightsafe Systems can help prevent this from happening by carrying out any necessary gutter cleaning works whilst attending to any Work at Height requirements. If you are already experiencing problems with your gutters or roofs, it’s still not too late to contact Heightsafe Systems. We are approved installers of the exclusively manufactured Plygene Gutterline System. Gutterline stops gutters leaking easily, efficiently, cost effectively and for good. Heightsafe systems will carry out all your gutter and roof maintenance needs as well as take away all debris and old guttering etc from site, take before and after images and even provide you with a certificate to say what has been carried out if you require one.